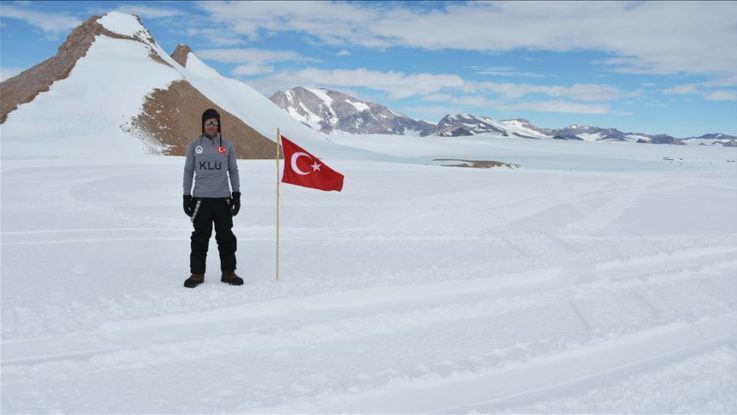 “Along with the work I did in eastern Antarctica during this expedition, I feel happiness and pride at taking three meteorites that I found during my research on the plateau here back home to our country,” Mehmet Yesiltas, who teaches space science and aeronautics at Kirklareli University in northwestern Turkey, told Anadolu Agency. One of a chosen few, Yesiltas was part of Turkey’s Third National Antarctic Science Expedition, helping staff the Belgian research station at the bottom of the world. “We traveled nearly five hours from Belgium’s Princess Elisabeth Station to reach an Antarctic plateau to do the meteorite research,” said Yesiltas. In Antarctica’s biting cold, they could only spend an hour in the field, but luckily this gave them enough time to retrieve the valuable space rocks. Meteorites are fragments of larger asteroids or even planets, Yesiltas explained, and examining their structures teaches us more about the solar system. “The information we learn from the meteorites will undoubtedly contribute to space science and shed light on mysteries in the field,” he said. The samples will be studied together with researchers from NASA and the European Space Agency (ESA), Yesiltas explained. “It makes me happy to add the samples we collected from Antarctica to my studies,” he said, adding that he previously published papers on his other meteorite research.